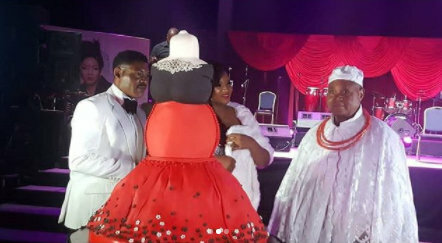 Nollywood Diva, Omotola Jalade Ekeinde is celebrating her 40th birthday today and as expected, some of the biggest names in Nigeria are at the ceremony. 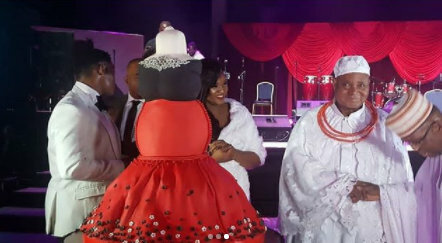 Respected Edo chief and father of the former governor of Edo State, Chief Igbinedion was seen at the event. 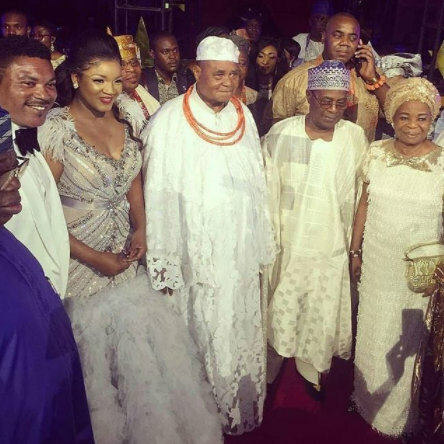 He is flanked in this picture by the Ekeindes and Prince Kunle Ojora and wife, Erelu Ojuolape Ojora.